A coalition led by Saudi Arabia and the United Arab Emirates began an assault early Wednesday on the Yemeni city of Hudaydah, seeking to oust Iranian-backed Houthi rebels who control the strategic port, the Yemeni government said. Several days of intensive diplomacy failed to stave off the attack on Hudaydah, a city of 600,000 people and the gateway for most humanitarian aid to the country. United Nations officials and others said they feared an assault on the city would worsen what is already the world’s worst humanitarian disaster. American military officials, including Defense Secretary Jim Mattis, are wary of the assault and have warned their Arab allies that their plans could result in a quagmire and further civilian suffering. More than 75 percent of Yemen’s population is dependent on food aid, and millions are on the brink of starvation. 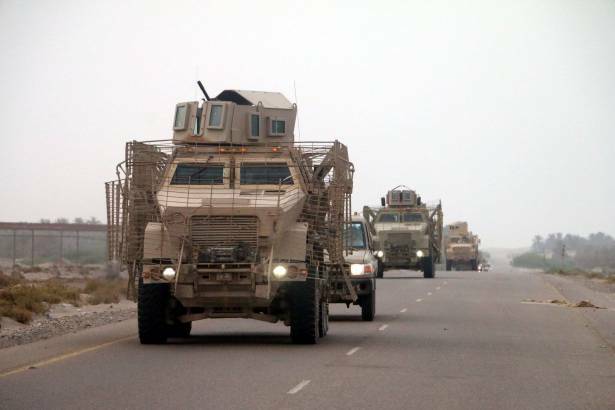 Yemeni troops, trained and funded by the United Arab Emirates, led Wednesday’s ground offensive, which began around daybreak. Aid workers who have remained in Hudaydah said the center of the city remained mostly quiet, and fighting appeared to be concentrated along the city’s southern edge. The attack began while Washington’s attention was still focused on the summit meeting between President Trump and North Korea’s leader, Kim Jong-un. It was not immediately clear what role, if any, American military advisers would play in the campaign. Since Yemen’s Arab neighbors intervened in the country’s civil war three years ago, the United States has provided military assistance to a coalition led by the Saudis and Emiratis. America’s role in the war, however, does not have the backing of many politicians in Washington. Senior members of the Senate Foreign Relations Committee have accused the two Arab governments, both close allies of the United States, of exacerbating civilian casualties with indiscriminate bombing. Yemen’s civil war began in 2015 in the wake of Arab Spring protests that toppled the country’s longtime autocratic president, Ali Abdullah Saleh. Divisions over power sharing gave way to military conflict, and competing forces now hold divided areas of the country. The Houthis, who are from northern Yemen and represent one of the country’s major political constituencies, swept south three years ago and seized control of the capital, Sana’a. Soon after, they stormed Hudaydah, and the internationally recognized president went into exile. Saudi Arabia and the United Arab Emirates intervened militarily, funding and training Yemeni forces opposing the Houthis, whom they consider to be a proxy for their regional nemesis, Iran. The Saudis and Emiratis claim the Houthi rebels have been smuggling arms through the port of Hudaydah, including missiles used to attack Saudi Arabia. A United Nations team of monitors said in a recent report on Yemen that their findings did not support those allegations, concluding that it was more likely that weapons were being smuggled across land borders. The Houthis claim that their actions are legitimate self-defense against foreign aggressors. The Saudis, who have spent decades intervening in Yemeni politics, view the Iran-backed Houthis as a threat on their southern border. Earlier in the week, American officials repeated their warning about an assault on Hudaydah to the Emiratis. The Emiratis and Saudis see the port as a crucial strategic location, given its proximity to international oil shipping lanes and the economic lifeline it provides to the Houthis. They have long demanded that the Houthis unilaterally give up control of the area. United Nations diplomats have tried to forge an agreement with the Houthis that would have them hand over control of the port to an internationally mandated body, thus eliminating the rationale for the coalition attack. Last week, the Emiratis warned that an attack on the city was imminent, prompting a mass evacuation by employees of the United Nations and the International Red Cross, as well as other humanitarian workers.